Get Ready, This is Wuling Hongguang to Mobile Phone. GAEA and Gaijin are establishing a comprehensive strategic partnership, starting from jointly develop the mobile version of Crossout. 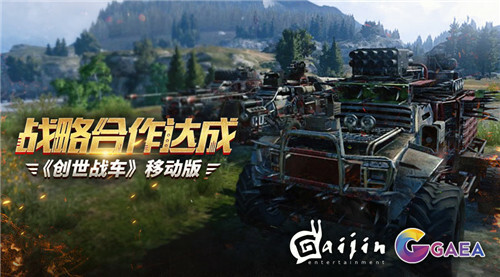 Recently, Beijing GAEA Interactive Entertainment Co., Ltd. (GAEA) has reached a strategic partnership with Gaijin Entertainment (Gaijin), a well-known independent game developer in Russia, to jointly develop a mobile version of Gaijin’s game Crossout, which will be released by GAEA in Asia. With cooperation on Crossout Gaijin and Gaea will join hands in cooperation and explore more strategic opportunities across the globe in the future. Founded in 2002, Gaijin has developed the world-renowned game War Thunder and its Dagor game engine. Gaijin has become the largest all-platform independent game developer in Russia comprising several top-notch studios with expertise in PC, mobile and console game development. Crossout is a joint creation of Gaijin and Targem studio, one of the oldest and most successful development teams in Russia, also established in 2002. The game has been highly acclaimed for its innovative DIY concept, unique gameplay and freedom of expression for the players. In 2017, the PC version of the game was open tested in China. 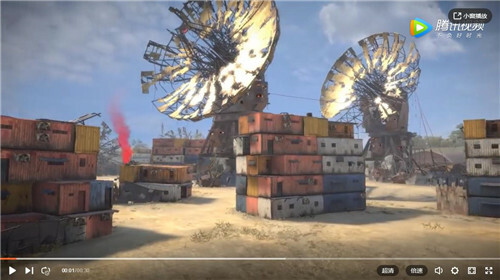 Since released, Crossout attracted thousands of streamers to live cast their gameplays. In addition, its high degree of freedom in building armored vehicles and unique battle design motivated creative enthusiasm of players. "Wuling Hongguang, destroy everything" and other player generated phrases have become popular Internet catchwords. Established in 2014, GAEA has completed its strategic transformation from a game publisher to a global interactive entertainment company, developing and publishing across the world. GAEA believes that the mobile version of Crossout will provide more exciting and exhilarating game experiences for competitive game enthusiasts from more countries and regions.